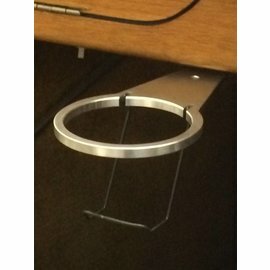 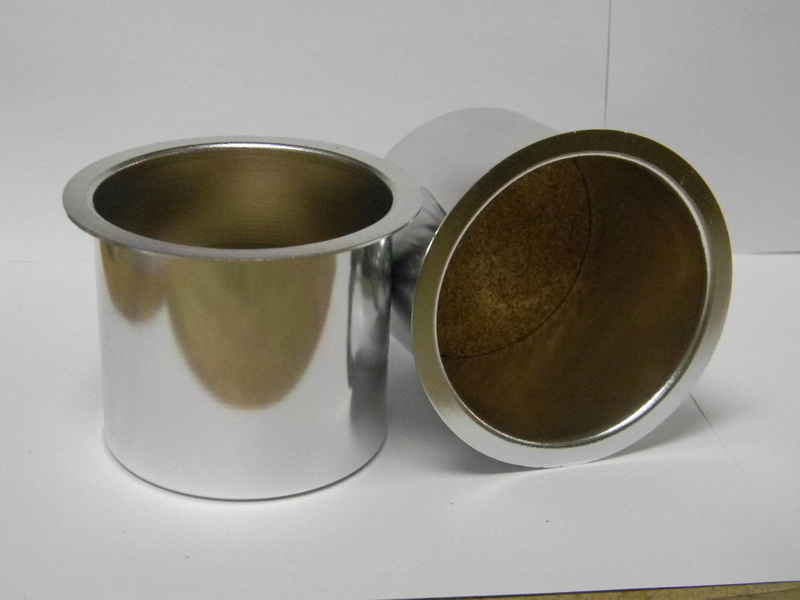 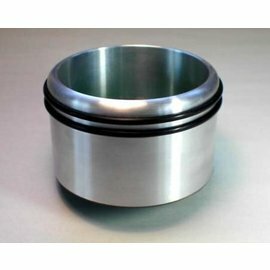 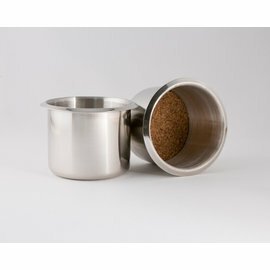 These aluminum drop in cup holders are 3.25" diameter by 3″ deep with a 4” flange. 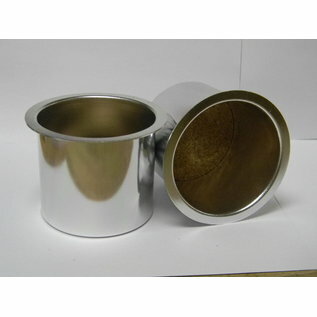 These aluminum drop in cup holders are 3.25" diameter by 3″ deep with a 4” flange. 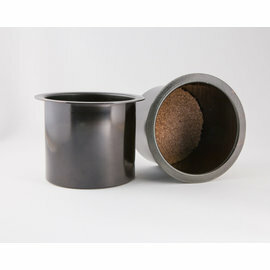 These are finished with a cork base and are sold in pairs.